This is sponsored advertising content from Sargento Foods. The opinions stated are my own. Sometimes it can be hard to constantly come up with a nutritious lunch for my kids (and myself) day after day. But, if you really break it down, it doesn’t have to be difficult! I’m super excited to be partnering with Sargento over the next several months, and today I’m thrilled to provide some ideas and tips for nutritious and fun lunches as well as snack ideas! I hope you enjoy the video! 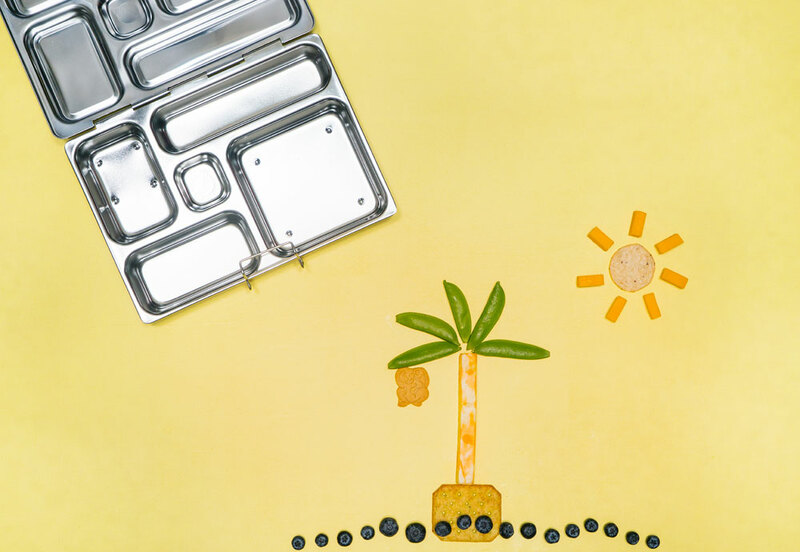 It was a lot of fun to come up with creative ways to fill the lunchbox! It isn’t always easy and convenient to feed and provide our families with the best options. But, at the end of the day, it is up to us to make those decisions, and help guide our kids to a robust lifestyle and good relationship with food. Even as adults, it is hard to make good choices when our schedules are so busy, and we just plain don’t have a lot of time! But, I have some tips to help make putting together lunches and snacks easier on you! Use high quality, fresh ingredients: When it comes to our food choices, we have to consider and make good choices on what we are feeding our families. I always try to serve my family the best quality ingredients, and make good choices on the products we eat. My kids and I love eating Sargento Cheese in our lunches as well as for snacks! 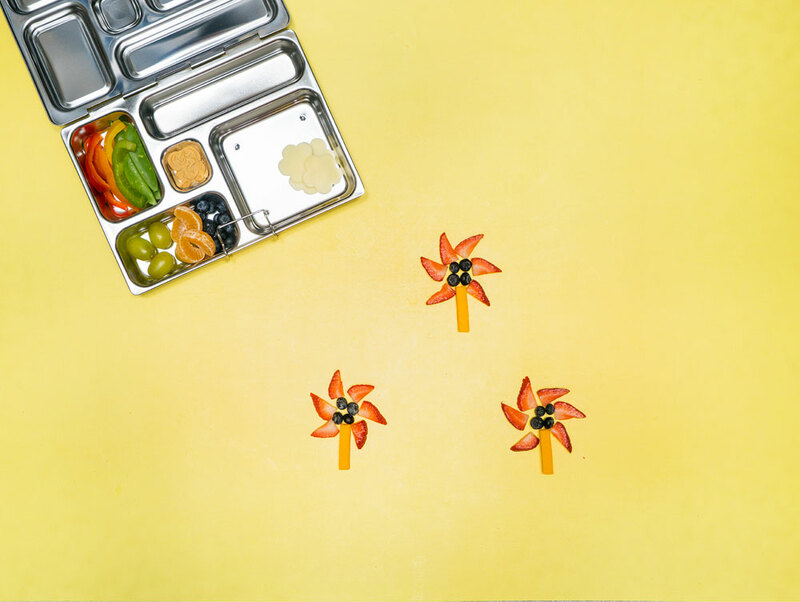 The kids especially love when I get creative and use cookie cutters, or present their lunches and snacks in a fun way. 3. 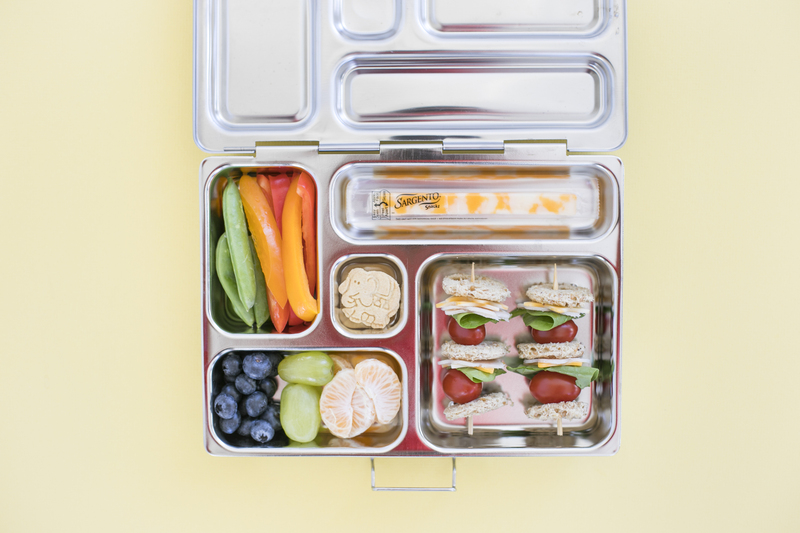 It’s just like putting together a few snacks: What you would feed your kids or yourself for a wholesome snack is usually appropriate for the lunch box as well. Just put a few snack ideas together and you have yourself a complete lunch. 4. Think outside the lunch “box”: Make it fun! Kids love a surprise, so get creative! Cookie cutters are always a fun way to peak your kids interest and make them want to try something. 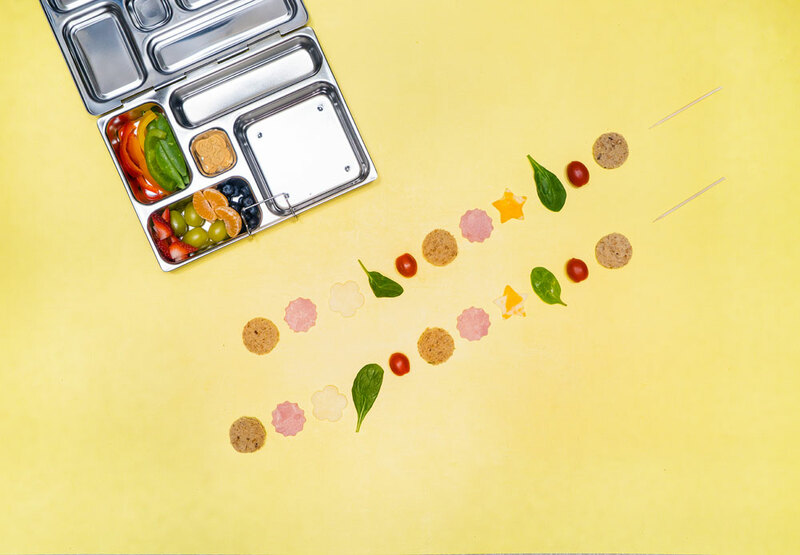 It is all about presentation, and placing the food in fun shapes is a great way to serve it. I used a flower shaped cookie cutter to cut out some clouds out of Sargento Sliced Provolone Cheese to add to the bottom of a pepper “Rainbow.” And, I used a star cookie cutter to cut out some Sargento Sliced Colby-Jack Cheese to add to the kabob sandwich. 5. 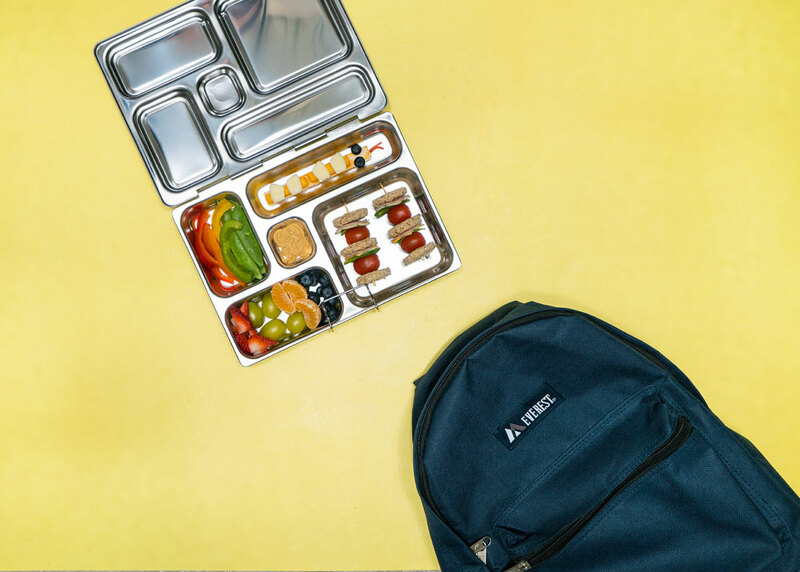 Use a lunchbox that has divided up compartments: My favorite way to send my kids off with their lunch is to pack them in reusable containers. I really love the Planetbox, and the Spencer Bento Box Pottery Barn Kids Container. 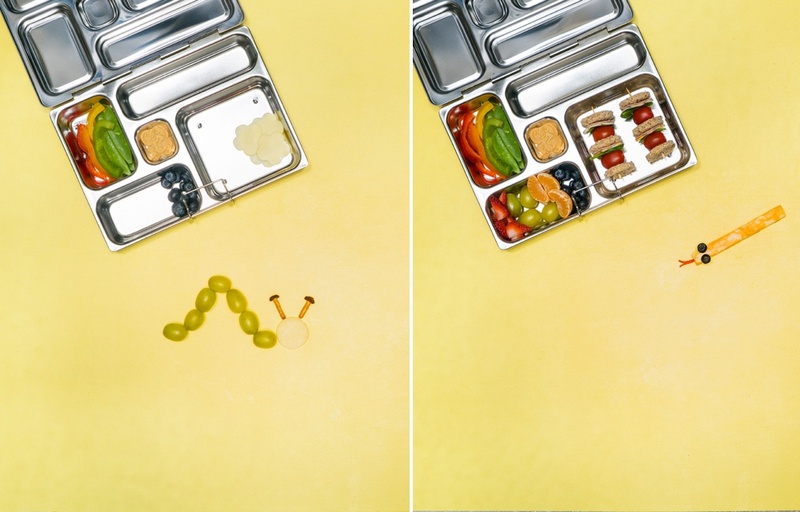 Having divided up compartments makes it so much easier to pack a balanced lunch for my kids. Once I fill up each container with wholesome options, I feel like I’ve done my duty! It is also good on the environment, and helps reduces waste without having to use paper bags, and plastic bags everyday. 6. Anything on a Stick: Food on a stick. Time and time again, it is proven that people, especially kids, love things served on a stick! Grab some skewers, and instead of the usual sandwich, serve it kabob-style on a stick! 7. 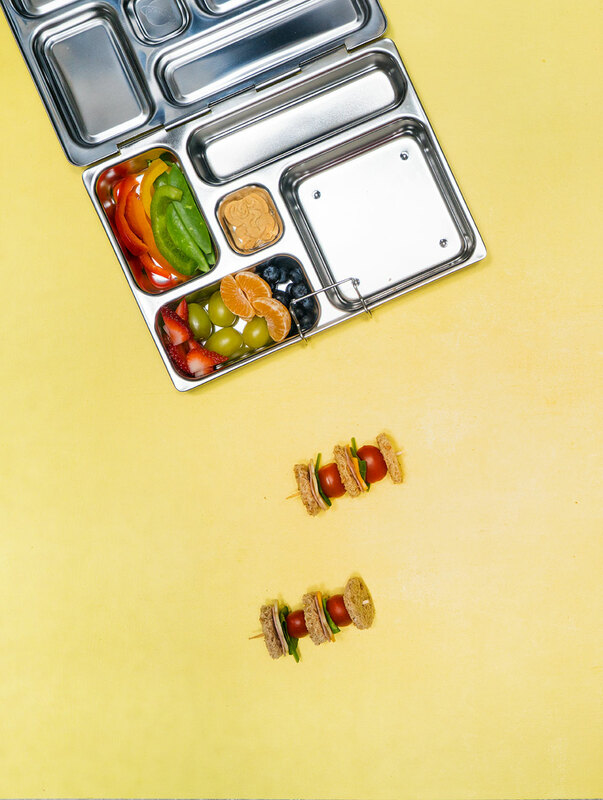 Change things up: The same lunch everyday gets boring, even for adults. 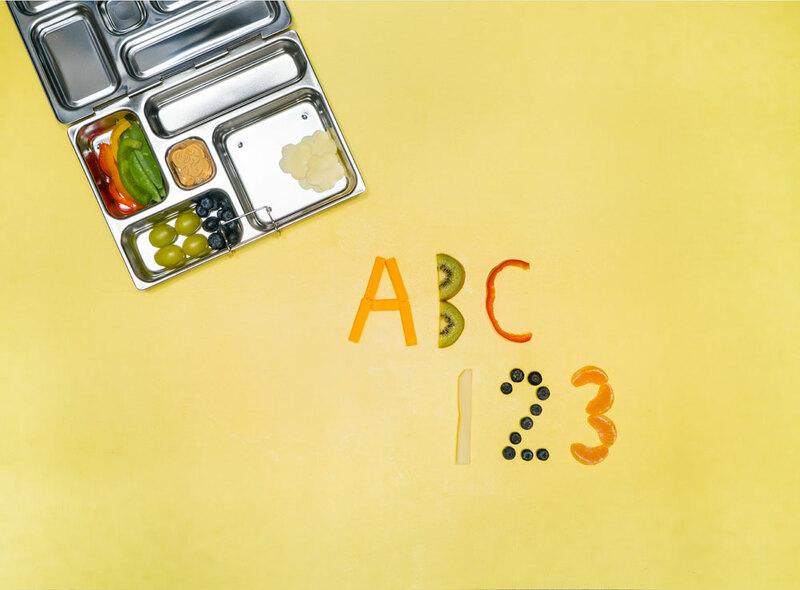 Be sure to add some variety to your kids lunches instead of the same old items day in and day out. Sometimes I’ll add something totally different, and my kids come home raving about the new item in their lunchbox! 8. Ask your kids to help: Kids love to feel like they have a choice! Sometimes it is good to put aside what you want, and let your kids have a voice. 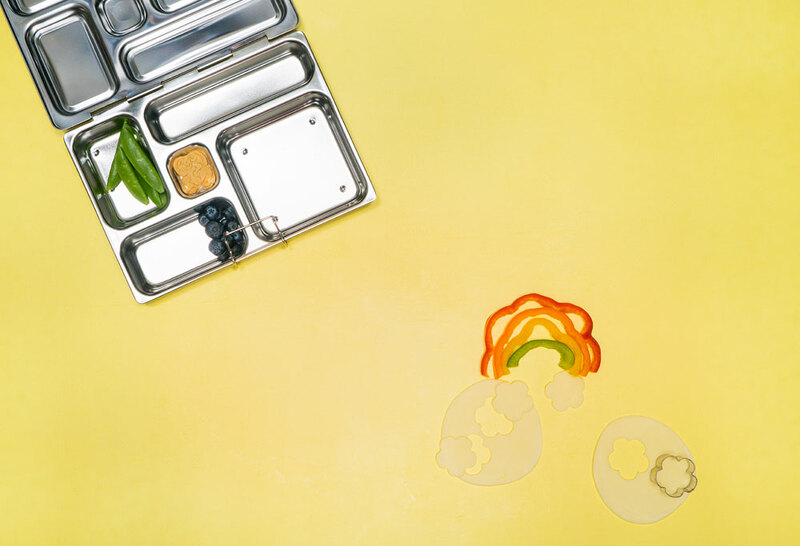 If I notice my kids aren’t eating all of their lunch, or are coming home with more items than they are eating, I try to ask what they would like in their lunch instead. Sometimes we make it a special date, and go out to the grocery store together, and discuss their options, and I allow my kids to help pick out some items they think they would like to eat in their lunches. 9. Be organized, and make it ahead: Being organized, and making things ahead can definitely help to alleviate any last minute stress. It is hard to pack a lunch for your children if you are opening the fridge last minute only to find that you don’t have the items you need, or are lacking the time to put together something quickly. Having a plan always helps, and items ready to go makes it nice and easy to put something together quick. 10. Keep offering nutritious options, don’t give up! Sometimes no matter how hard you try, and how much you plan, your kids just don’t want the food you provide for them all of the time. That’s ok! Kids will be kids, and they go through phases of picky eating, but don’t be too hard on yourself. They might eventually come around, and will one day appreciate your efforts, just keep offering them wholesome items, and opportunities to enjoy high-quality foods! This post is sponsored by Sargento, bringing the very best real, natural cheese to your family. Thank you so much for supporting the brands that make this blog possible. 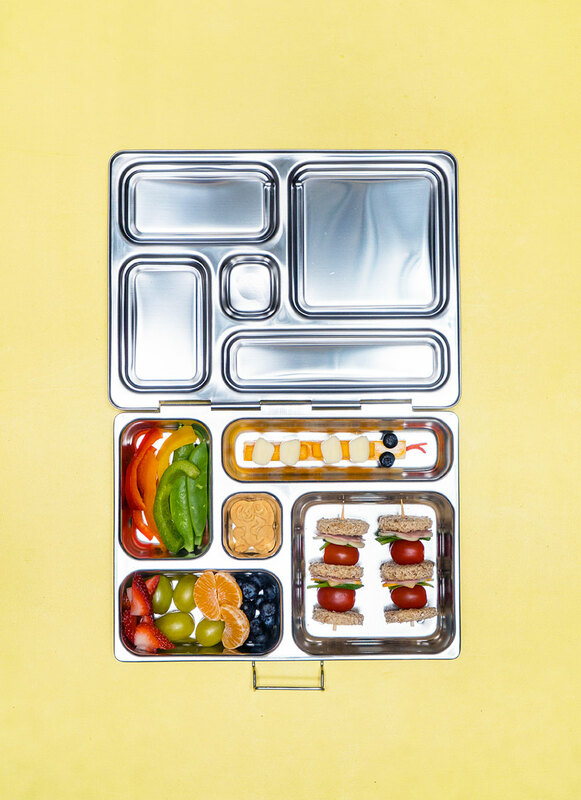 Where is the stainless steel food tray from?